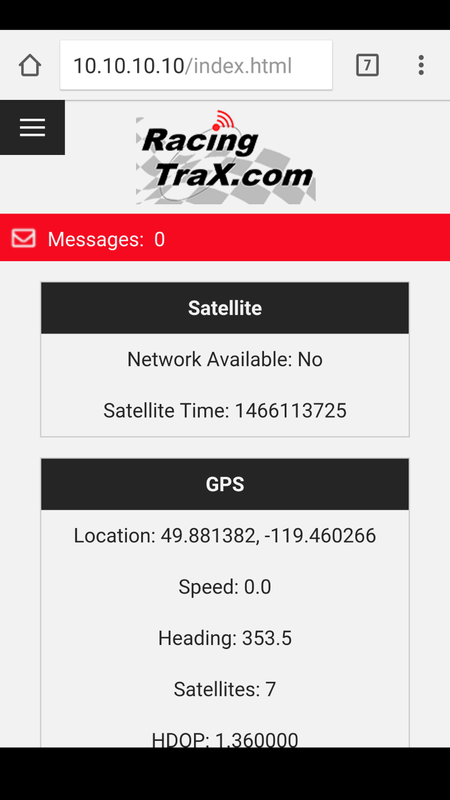 Select your type of mobile device below for specific instructions on how to connect to your RacingTraX device and access the Messaging web application. Using your iPhone, iPad or other iOS device, locate and open the Safari app. Select the "Wi-Fi" item from the Settings app and ensure Wi-Fi is enabled. 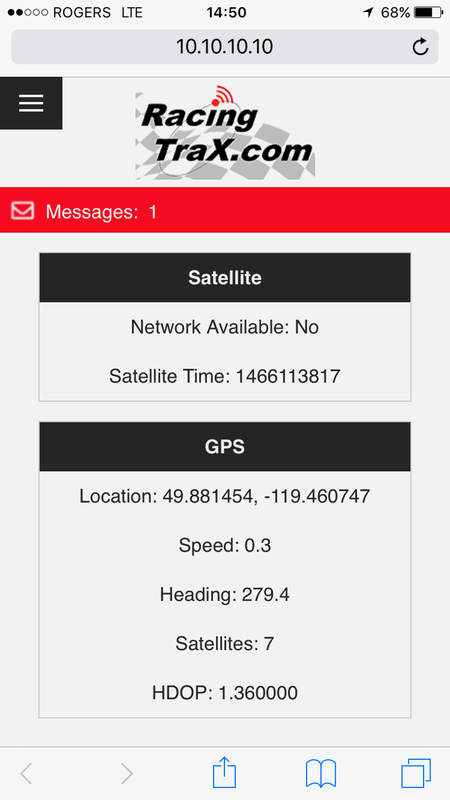 Locate the wireless network starting with 'RACETRAX', and select this wireless network to connect to it. Note: If wireless security has been enabled, you will need to enter your passphrase to finish connecting to the device. You will be brought to the RacingTraX web interface. Using your Android device, locate and open the Settings app. 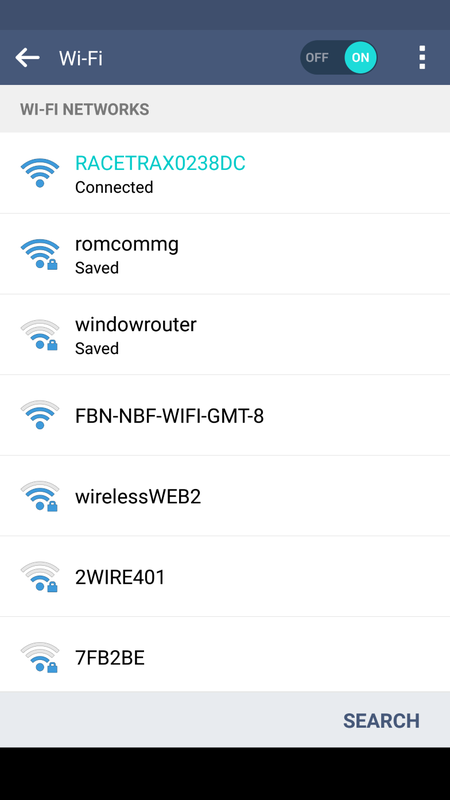 Ensure Wi-Fi is enabled and select the "Wi-Fi" item from the Settings app. 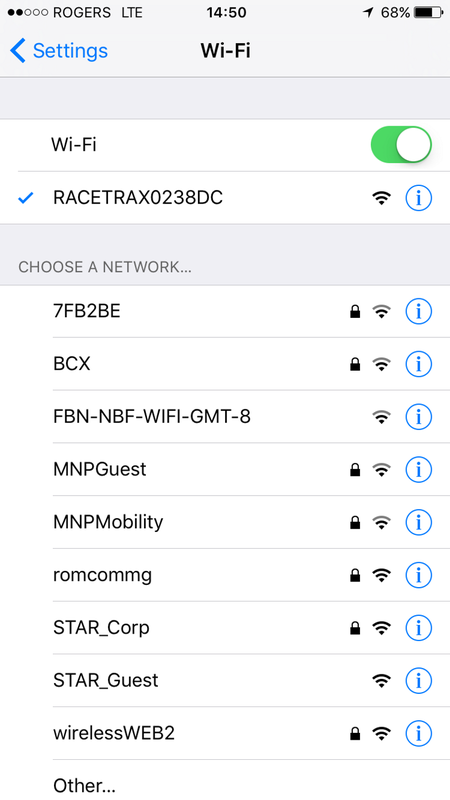 Locate the wireless network starting with 'RACETRAX', and select this wireless network to connect to it. Using your Android device, locate and open your web browser, typically Chrome.